Give your beautiful potted flowers a lovely sitting area! You enjoy spending time on your patio—and so do your potted plants! 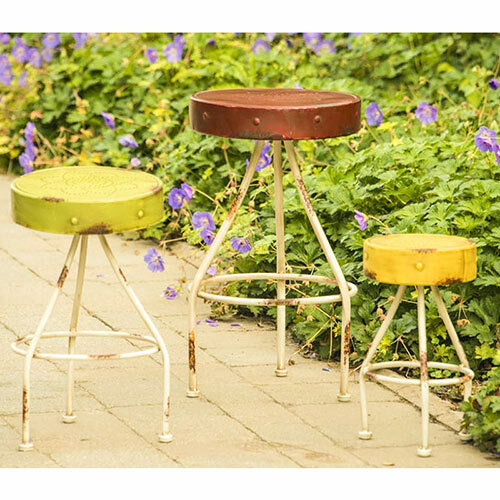 These decorative plant stands, which are hand painted and designed to resemble vintage stools, add visual excitement to almost any decor setting. Each of these three rustic stands has a sheet-metal seat with an artsy flower design formed by punched holes. 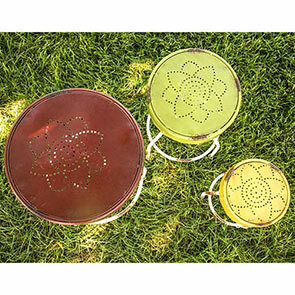 Great for use indoors, or place them outside on a patio or covered porch. Stands can also be used to display decorative items. 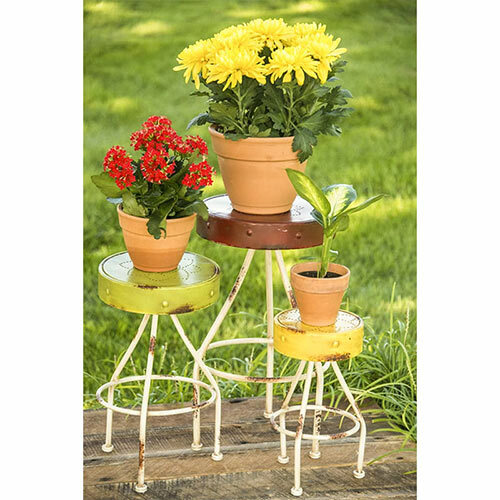 Set includes small, medium and large plant stands. Small stand: 12"h, 6¼" dia. Medium stand: 15½"h, 8¾" dia. Large stand: 18¾"h, 10¾" dia.